Moultonborough lakefront homes are ideally located along the northern shore of Lake Winnipesaukee. These homes with lake access are perfect for people who have boats or just want to enjoy the beautiful lake views. Moultonborough real estate with docks and nearby beaches make for the perfect vacation home on Lake Winnipesaukee, and the nearby towns of Wolfeboro, Alton, and offer year round excitement and community. Great corner lot (lot only)at Arcadia Campground Condominium on Lake Winnipesaukee. Includes all RV park amenities as well as a level lot with deck. Low fees and low taxes. 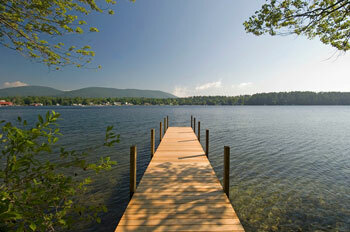 All RV Resort amenities including a sandy beach on Lake Winnipesaukee. Low Condo fees and pets allowed. Don't miss this opportunity to own this property located in a private gated condo association situated on beautiful Lake Winnipesaukee with beach nestled at the end of a quiet cove. Tennis, playground, rec hall and more. Come see all this great community and lake has to offer. Seasonal use May 1 to October 28. I have a question about the property at 201 Hanson Mill Road Moultonborough NH 03254 (#4741055). I would like to schedule a visit for the property at 201 Hanson Mill Road Moultonborough NH 03254 (#4741055). A Lake Winnipesaukee seasonal campground with ownership in a gated community. Come see what life can be like as part of the Arcadia Campground Association. This 2008 Park Model offers an open kitchen/living area, remodeled full bathroom with walk in shower, 1st floor bedroom and a stairway to loft that provides 2 additional sleeping areas. Through the sliding doors, you'll find a custom built screened porch. Outside, is a deck and a covered porch area perfect for rockers. Included in the sale: Golf Cart, Furniture, Appliances, Grill, Shed. The property offers lots of amenities such as sandy beach and swimming area, fishing dock, recreation hall and expansive patio for activities, tennis, bocce, horseshoes and more. Season is May 1 - October 28. I have a question about the property at 201 Hanson Mill Road Moultonborough NH 03254 (#4721449). I would like to schedule a visit for the property at 201 Hanson Mill Road Moultonborough NH 03254 (#4721449). I have a question about the property at 201 Hanson Mill Road Moultonborough NH 03254 (#4740408). I would like to schedule a visit for the property at 201 Hanson Mill Road Moultonborough NH 03254 (#4740408). I have a question about the property at 680 Whittier Highway Moultonborough NH 03254 (#4727895). I would like to schedule a visit for the property at 680 Whittier Highway Moultonborough NH 03254 (#4727895). NOW VACANT, CLEAN AND EASY TO SHOW!! You must see this home in person to really understand the potential it has to be the perfect vacation home for you and your family! This chalet sits on an over-sized wooded lot with plenty of extra parking. Not only will you enjoy the LOWEST TAX RATE on the lake in the town of Moultonborough but you have access to all the amenities that Balmoral has to offer! Deeded beach rights, clubhouse, tennis courts, playground, picnic area, kayak/canoe racks, and a private day dock with a boat launch. Home being sold As-Is. Enjoy this home and all the seasonal activities New Hampshire has to offer; year round! I have a question about the property at 95 Paradise Drive Moultonborough NH 03254 (#4727795). I would like to schedule a visit for the property at 95 Paradise Drive Moultonborough NH 03254 (#4727795). I have a question about the property at 84 Governor Wentworth Highway Moultonborough NH 03254 (#4712266). I would like to schedule a visit for the property at 84 Governor Wentworth Highway Moultonborough NH 03254 (#4712266). I have a question about the property at 127 Paradise Drive Moultonborough NH 03254 (#4729958). I would like to schedule a visit for the property at 127 Paradise Drive Moultonborough NH 03254 (#4729958). This is a very well cared for home that would be suitable for a year round resident or a vacation home. It has a open floor plan which is very popular, generous kitchen with plenty of storage, broom closet and pantry. Dining area and seating at the breakfast bar. The dining area leads to a spacious screen porch for three season enjoyment. A first floor master with private bath is located off kitchen hallway , second bedroom, bath, laundry closet and linen closet. The lower level walk out is mostly finished and could be a family room or a private master with 3/4 bath. It also features a wood stove, wood floors, and patio door to walk out. There is a storage area containing the boiler, oil tank and easy entry door where the homeowner stores his motorcycle comfortably for the winter. The property is nicely landscaped with well cared for homes surrounding it. I have a question about the property at 36 Brae Burn Road Moultonborough NH 03254 (#4739970). I would like to schedule a visit for the property at 36 Brae Burn Road Moultonborough NH 03254 (#4739970). I have a question about the property at 206 Paradise Drive Moultonborough NH 03254 (#4727129). I would like to schedule a visit for the property at 206 Paradise Drive Moultonborough NH 03254 (#4727129). Located in the private community of Balmoral on Lake Winnipesaukee, this cape home has 3-bedrooms, two baths, and a bonus room. This home features a beautiful kitchen with Granite countertops, a new glass backsplash, Granite island and stainless steel appliances. The living area has exposed beams and natural sunlight. There is a finished, walk out basement and two additional rooms. Two decks outside and an attached 2-car garage with a new rubber roof; plenty of parking for up to six vehicles. Balmoral, on the northern part of Lake Winnipesaukee, is a private, lake access community with a 500' sandy beach, clubhouse, tennis court and private boat launch. There are also docks available by waiting list. Nearby attractions include "Castle in the Clouds" with spectacular Winnipesaukee lake and mountain views and the Old Country Store in Moultonborough Center which is a historical landmark. There are also nearby snowmobile trails. Balmoral has the Right of First Refusal. I have a question about the property at 44 Mountain View Drive Moultonborough NH 03254 (#4741833). I would like to schedule a visit for the property at 44 Mountain View Drive Moultonborough NH 03254 (#4741833). SUISSEVALE: Beautiful private, wooded lot, oversized bi-level deck featuring screen house equip with cable/elec/ceiling fan. Outside shower, side yard with fire pit, wood storage rack. Exposed beams on first floor, field stone fireplace with mantle, SS appliances including Bosch dishwasher, extra deep kitchen sink, gleaming granite countertops, under cabinet lighting, remodeled first floor bath, cathedral ceilings in two bedrooms both with over sized closets, 2nd floor carpeting like new. Newly painted 1st and 2nd floors, 3 year new furnace. Access to beautiful Suissevale beach, club house, amenities, volleyball court, outside grills with picnic tables, beach life, summer event schedule at beach! I have a question about the property at 35 Blanc Street Moultonborough NH 03254 (#4745079). I would like to schedule a visit for the property at 35 Blanc Street Moultonborough NH 03254 (#4745079). Flexible use property can be used as a business, or mixed use business/residence or as a residence. This beautifully restored antique post and beam cape has tall beam ceilings and wide pine floors. Open floor plan on the first floor and one bedroom on the second floor. A brand new 3/4 bath has also been added. The 530 sqft barn is also post and beam and has been restored. Great location on route 25. Half a mile to schools and center of town. 1.44 acres that abuts 37 acres of conservation land on Lees Pond and has a right of way easement to The Red Hill River. I have a question about the property at 822 Whittier Highway Moultonborough NH 03254 (#4739423). I would like to schedule a visit for the property at 822 Whittier Highway Moultonborough NH 03254 (#4739423). I have a question about the property at 126 Locarno Street Moultonborough NH 03254 (#4728509). I would like to schedule a visit for the property at 126 Locarno Street Moultonborough NH 03254 (#4728509). I have a question about the property at 71 Buoniello Road Moultonborough NH 03254 (#4734640). I would like to schedule a visit for the property at 71 Buoniello Road Moultonborough NH 03254 (#4734640). What's in your wallet? Are you looking for a great find, look no further this 3 bedroom home with an in-law apartment or accessory dwelling unit in Moultonborough is priced right. The house boasts an open concept living with large kitchen/dining area for the family to gather or cozy up in the living room turn on the gas fireplace, 1st floor laundry, hardwood flooring. In the summer enjoy dinner on your back deck. Above the 2 car garage is the accessory dwelling with a 29'x25' footprint with separate deck, laundry room and open concept as well which could be used for rental income or for Dear Mom. A must see! *Note that a permit must be obtained from the town to use this space as an ADU (Accessory Dwelling Unit). I have a question about the property at 463 Shaker Jerry Road Moultonborough NH 03254 (#4744525). I would like to schedule a visit for the property at 463 Shaker Jerry Road Moultonborough NH 03254 (#4744525). This classic Cape combines the best of traditional design with updates to make it a great residence for today. Within walking distance is your private, shared water access to Wakondah Pond, a beautiful body of water for kayaking, fishing and simply taking in the setting of the conservation land of Red Hill which is a short distance away with great hiking and snowmobile trails! Drive up to one of the last homes on the road and park in the attached heated garage. The main entrance welcomes guests to the living room with its wood burning fireplace on cold winter days. In warmer months head straight to the expansive 24'x16' screened porch surrounded by views of the private 4.3-acre property. The large master suite is located on the first floor and fills with natural light, plus the updated bath is both spacious and bright. The open kitchen and dining space off the screen porch and living room offer a plethora of cabinet space in addition to the pantry closet. Upstairs includes two generous sized bedrooms with a shared newly updated full bathroom. Updates include a new roof in 2017 and energy efficient heat pumps for cooling and heating in 2014. This property is not far from the local necessities but the perfect escape in such a natural setting. I have a question about the property at 28 Heron Pond Road Moultonborough NH 03254 (#4738972). I would like to schedule a visit for the property at 28 Heron Pond Road Moultonborough NH 03254 (#4738972). Great Colonial home on a private lot walking distance to a small town rangeway beach on Winnipesaukee. Cul-de-sac road that ends at a snowmobile trail that connects to a county trail system & major corridors, enjoy hiking trails right from your door into the Kona Wildlife Area. Recent Solar panels on roof make electric bills disappear! Walk on to a beautiful farmers porch and through the front door and you will find a bright open living space with newly refinished gleaming hardwood floors. Fully applianced kitchen with lots of cabinet and counter space, a breakfast bar for stools at the counter, open to a large dining room. Huge living room space that opens to a deck on the rear of the house, first floor laundry and half bath. Upper level has a nice master suite with a bath that has double sinks and a walk in closet and two other bedrooms share a full bath in the hall. Lower level has a 2 car garage and a large space for storage or expansion. This property is close to schools, town, shopping, and much more. Live in a great town with some of the lowest taxes in the State of NH. I have a question about the property at 22 Kings Court Moultonborough NH 03254 (#4710346). I would like to schedule a visit for the property at 22 Kings Court Moultonborough NH 03254 (#4710346). I have a question about the property at 12 D Lands End Lane Moultonborough NH 03254 (#4477360). I would like to schedule a visit for the property at 12 D Lands End Lane Moultonborough NH 03254 (#4477360).